This swap is pretty easy. You'll need to send at least 5 ounces of paper. 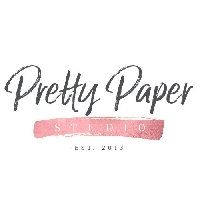 Paper can include but is not limited to: stationery, envelopes, tags, washi tape, postcards, ATCs, handcrafted items, etc. Please make sure your envelopes weighs 5 ounces MINIMUM. Weight will not include "box" or heavier envelopes. Because of the nature of this swap please start working on getting your swap ready now and do not wait until it's time to send it. If you do not end up receiving your swap I WILL angel it to you. When will everyone be matched?